In the liturgy, every word and every gesture conveys a theological idea. The 2010 re-release of the Intervention is now available from sggresources.org. CHAPTER 10. Analysis of the revised cycle of Scripture readings and the Liturgy of the Word in the Missal of Paul VI. The post-Vatican Mass: Is it really “more scriptural”? 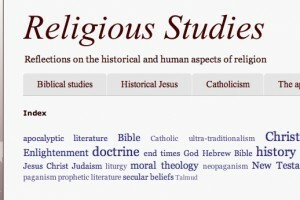 Were the “treasures of the Bible” really “opened up more lavishly,” as Paul VI claimed? The lectionary for the Mass of Paul VI contains thousands more verses of Scripture than the lectionary for the traditional Latin Mass does. The “outmoded” New Testament teaching on the role of women. Punishment for receiving the Eucharist unworthily. 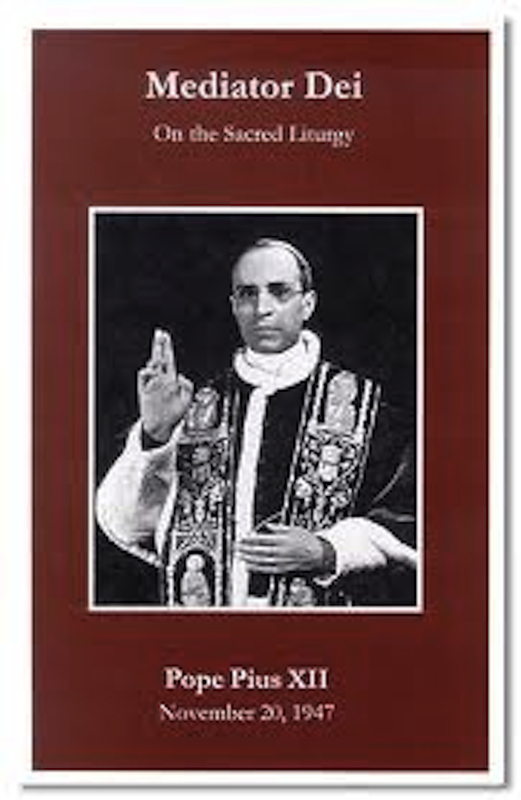 In terms of the announced goal of presenting to the faithful what Paul VI called “the foundation of Christian instruction and the core of all theological study,” the Lectionary of the Missal of Paul VI is therefore a gigantic fraud. CHAPTER 9. The revised orations in the Missal of Paul VI. The traditional Missal contains 1182 orations. About 760 of those were dropped entirely when the Missal of Paul VI was created. 422 old orations remained — only 36%. The revisers altered over HALF of them before introducing them into the new Missal. Thus, only 17% of the orations from the old Missal made it untouched into Missal of Paul VI. Substantial changes were introduced into the doctrinal content of the orations, moreover, regarding “negative theology,” hell, the false glory of the world, souls of the departed, heresy’s evils, the one true Church, the powers of the Roman Pontiff, the merits of the saints, and miracles. The list of what the revisers eliminated from the orations reads like a syllabus of Catholic doctrines and practices rejected by modernists, Protestants and rationalists. 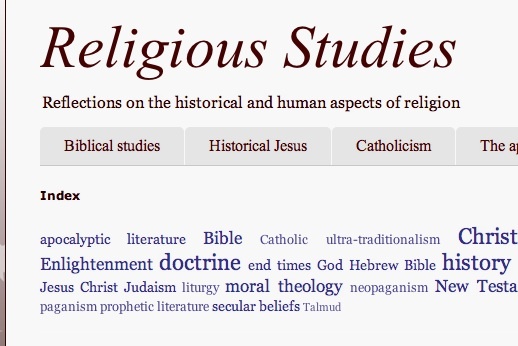 LAST MONTH we received word that Work of Human Hands had received yet another review, this one on the Religious Studies blog. This blog has a secular and liberal perspective on most issues, so it was therefore a bit surprising to learn the review had a number of positive things to say about WHH. The reviewer, Reggie Perrin, provided a good overview of the contents of the book as well. 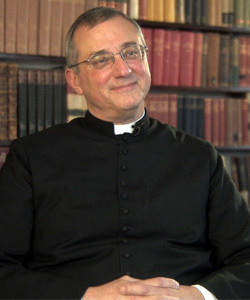 IN DECEMBER 2011, Stephen Heiner of True Restoration Press filmed a lengthy conversation with me about my book Work of Human Hands: A Theological Critique of the Mass of Paul VI, available from Philothea Press, West Chester OH. Two video excerpts are being made available free of charge via Rorate Caeli, a widely-read and highly-respected international blog that promotes the pre-Vatican II liturgy and openly criticizes many aspects of both the Council and the subsequent reforms. In the two excerpts, I explain my background and how I became a “traditionalist,” as well mentioning a number of issues that I address in the book. I am grateful to Mr. Heiner for his work on this project, and to the owner of Rorate Caeli for making the video available on his site. I hope it will contribute to making more people aware of the profound problems presented by the post-Vatican II liturgical reforms. REVIEWER: Brian Mershon is a commentator on cultural issues from a classical Catholic perspective, and holds a Master’s degree in theology. His trade is in media relations, and his vocation is as a husband to his beloved wife Tracey and father to his seven living children. He attempts to assist his family and himself in attaining eternal salvation through frequent attendance at the Traditional Latin rite of Mass, homeschooling, and building Catholic culture in the buckle of the Bible Belt of Greenville, South Carolina. His writings have appeared in numerous media outlets, including Inside the Vatican, The Remnant, Homiletic and Pastoral Review, The Wanderer and Christian Order. WEBSITE: Renew America began in 2002 as a grassroots support for conservative political commentator and presidential candidate Allen Keyes, and since then has amassed a large following among conservatives in the United States. BRIAN MERSHON’S REVIEW: Many of you may be familiar with Father Anthony Cekada’s short booklet entitled Problems with the Prayers of the Modern Mass, originally published by TAN Books. As Catholics are about to become inundated with news stories and catechesis from the pews on the new translation of the Novus Ordo Missae in English, which goes live this Advent, every Catholic would do well to read Father Cekada’s poignant theological analysis of the properly translated prayers of the Novus Ordo Missae before “shouting from the rooftops” with joy that a de-Catholicized liturgy that has more in common with a Lutheran or Episcopalian worship service is finally, 40 years after its creation, going to have a more accurate translation in English. In other words, the translation of the Novus Ordo Missae, which Archbishop Annibale Bugnini and his cohorts began deconstructing in 1948, is but the tip of the iceberg when compared to the destruction of the entirety of the Traditional Roman rite of Holy Mass — translation issues aside. From the initial changes of the rite of Holy Week in the mid-1950s, approved by Pope Pius XII, to the ongoing destruction of the traditional Roman rite, which modern version now has 13 Eucharistic prayers and only 17 percent of the orations (prayers) of the Traditional Roman rite remaining in their original substantive form, Father Cekada systematically traces the history of the destruction and minutely documents, using the very words of the reformers themselves, and shows the reader the theological de-Catholicizing caused by the final product — even when translated more faithfully beginning in Advent 2011. The Latin product, regardless of translations, is de-catholicized. It may be valid in many cases — or even most — but it lacks the fullness of Catholic theology found in the Traditional Roman rite. In the book’s Appendix, and indeed throughout the course of Father Cekada’s detailed work, he raises an issue that most traditional Catholics rarely consider. 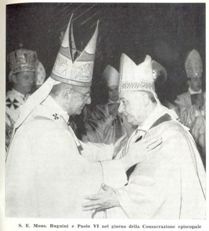 Because the Bugnini-led reformers, albeit with the approval of Pope Pius XII, began their systematic and well-thought-out process for destruction of the Traditional Roman rite long before the advent of the Second Vatican Council, why do traditionalist Catholic priests and laity settle for the 1962 version of the Roman rite? He analyzes the case for the 1951, 1958 and 1962 missals and makes a strong case for the use of the 1951 missal from a theological and historical perspective. 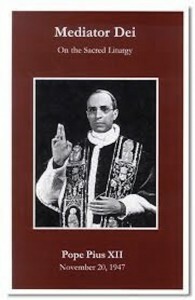 While some of the traditional Societies of Apostolic Life along with a few other individual priests continue to celebrate the pre-1958 Holy Week, Father Cekada presents a strong theological case for the use of the 1951 version — prior to the Bugnini interventions that were merely designed as stepping stones for the ultimate 1970 new rite of Mass. Work of Human Hands exhaustively details how the reformers claimed to reinstitute many prayers and rituals used in the early Church that had supposedly become corrupt through the passage of time. Even if this misguided hankering to return to the pristine early Church’s liturgical worship style was legitimate and not already condemned by Pope Pius XII in Mediator Dei (he called it “antiquarianism”), the facts prove otherwise. The author shows how the historical evidence for many of the changes to pre-Tridentine times was merely a ruse developed by the modernist reformers in order to implement their ecumenical, assembly theology, “priesthood of all believers” agenda. “Who, after all, ever heard a liturgist advocate restoring such primitive Christian practices as requiring women to wear veils at Mass, separating the sexes in church on opposite sides of a curtain, imposing public penances for sins of adultery or announcing heretics, Jews and pagans had to leave?” Father Cekada rhetorically questions. Most incredible perhaps is the author’s ability to show how Catholic theology, prominent throughout the Traditional Roman missal, whether the 1951, 1958 or 1962 variety, was excised and replaced in the missal of Pope Paul VI. Reparation for sins, sacrifice of propitiation, the need for universal penance, fasting and almsgiving, fear of hell and damnation finds little, if any place in the new Missal. The so-called “negative theology” that does not fit the needs and mentality of modern man has been excised. The instances in which these distinctly Catholic doctrines were suppressed, or at best, severely watered down in the texts of the new missal are staggering — even to the most diehard traditional Catholic. Finally, I would be remiss if I ignored Father Cekada’s assertion of his belief (albeit backed up with post-Conciliar sacramental theological references) that the Novus Ordo Missae is invalid. Father Cekada is also known for his views that the reigning Pontiff, Pope Benedict XVI, and his predecessors back until Pius XII, are/were not valid Popes. I do not personally share those views, but they are not prominent within this work. The fact that a sedevacantist priest has written an exhaustive, detailed analysis of the rupture between the Mass of Pope Paul VI and the 1962 Missal and prior, does not mean the contents of his analysis are untrue. In fact, again, using the words of the prominent liturgical reformers and Pope Paul VI, Father Cekada proves their intentions, and even further, shows that Pope Paul VI was actively involved and a primary proponent of the new theology in the resulting Missal bearing his name. I highly recommend this book — even reading it multiple times as I myself did — to interested Catholic laymen, but especially to priests, who desire to understand in excruciating detail the theological reasons behind the rupture with liturgical and theological tradition caused by the use of this new rite of Mass for the past 40 years. Father Cekada’s exhaustive theological critique demands a response from the “reform of the reform” crowd. I doubt one will ever be forthcoming however. New translations will not make the Novus Ordo Missae more theologically Catholic. A pig with lipstick is still just a pig. CHAPTER 8: An analysis of the Introductory Rites of the Mass of Paul VI. The Prayers at the Foot of the Altar in the traditional Mass are directed towards priestly purification. The Introductory Rites in the New Mass, its creators said, are directed at “stirring up a sense of community,” initiating dialogue, promoting affability, forming a human community, building rapport, and acknowledging Christ’s presence in the people. This reflects the modernist and ecumenical notion of the Mass as “assembly,” rather that as a sacrifice offered to God. Hence, debased music at Mass, a casual atmosphere in church, and chatty, informal priests. “Father Cekada systematically traces the history of the destruction and minutely documents, using the very words of the reformers themselves, and shows the reader the theological decatholicizing caused by the final product…. CHAPTER 7. Why do so many churches built for the Mass of Paul VI look so “un-churchy”? Why does the priest face the people now for Mass? Why did the tabernacle disappear? Why are there so few statues and images? The answer isn’t fads or bad taste. It’s bad theology — specifically the modernist theology of the Mass as assembly. Naturally, understanding the Mass primarily as an assembly supper rather that as a sacrifice offered to God will have a profound influence on the externals of the rite. Chapter Seven of Work of Human Hands examines how assembly theology affected the new legislation governing the externals of the Mass of Paul VI — church architecture, the altar, the tabernacle and the rest. If the last Catholic church you were in looked like a food court or a Pizza Hut on the inside, you’ll find the explanation here. CHAPTER 6. The protestant and modernist theology behind the 1969 General Instruction on the new Order of Mass provokes a controversy that leads to The Ottaviani Intervention. The Vatican responds first by lying about the nature of the 1969 Instruction, and then by issuing a revised Instruction in 1970, which places “Tridentine” terms alongside the protestant and modernist terms, thus equating two different theological concepts of the Mass. The new order of Mass, which had been formulate on the basis of protestant and modernist theology, however, was not changed in 1970, and is the same rite used in our cathedrals and parish churches to this day. CHAPTER 5. Why does the New Mass seem radically different from the traditional Latin Mass? It was conceived of as an “assembly” rather than a “sacrifice.” The 1969 General Instruction on the Roman Missal presented the underlying theological principles for the creation of the Mass of Paul VI. In this document, the essence of the Mass is no longer “sacrifice” but “assembly” — a notion rooted in the ecumenical and modernist eucharistic theology of Louis Bouyer, who in turn based it on the writings of the 1930s Swedish Lutheran ecumenist Yngve Brilioth. The Instruction also invented other “real” presences to undermine belief in THE Real Presence that occurs through transubstantiation, a dogma detested by Protestants and modernists alike. Why are celebrations of the New Mass so different from church to church? The Instruction “deregulated” the Mass by opening it up to “legitimate variations and adaptations” which can undermine Catholic doctrine and make visiting an unfamiliar church for Mass an adventure in liturgical surprises. “Cekada rightly points out that the 1969 text [of the General Instruction] confidently outlined the prevailing theological principles that underpinned the reformed rite of Mass, which was published with it.